Who doesn’t love an upgrade? For whatever reason you may face, at some point you are likely to upgrade your photography gear. Be it because you obsess about having the latest and greatest gear or because you simply need a tool to do a specific job. The feeling of actually purchasing new equipment is a good one. I am not one to do these things on an impulse. I agonise over the decision to part with hard earned cash for inanimate objects, not matter how fancy they might be. I am going to walk you through some of my latest purchases from earlier this year and the reasons for me acquiring them. For years now I have been wanting to be able to edit photos whilst away from home. In fact ever since I started travelling for photography I have loathed the idea of waiting to get back home and edit. I would sit quietly sipping beer in the hotel whilst my friends sat and edited photos shot that day. I would grow envious and started wishing the rest of the trip away so that I could post a picture. This established enough of a need for me to want to get a laptop. Coupled with the fact that my PC at home really was on it’s last legs. At the time, I wasn’t bothered what camp I would fall into, PC or Mac, I don’t buy into brand loyalty or fan-boyism. I use PC’s for work, always have. I genuinely couldn’t make up my mind as to which one I wanted so I treated each day as if I was buying a Windows laptop and then next day as if I was buying a MacBook. Flipping a coin if you will. 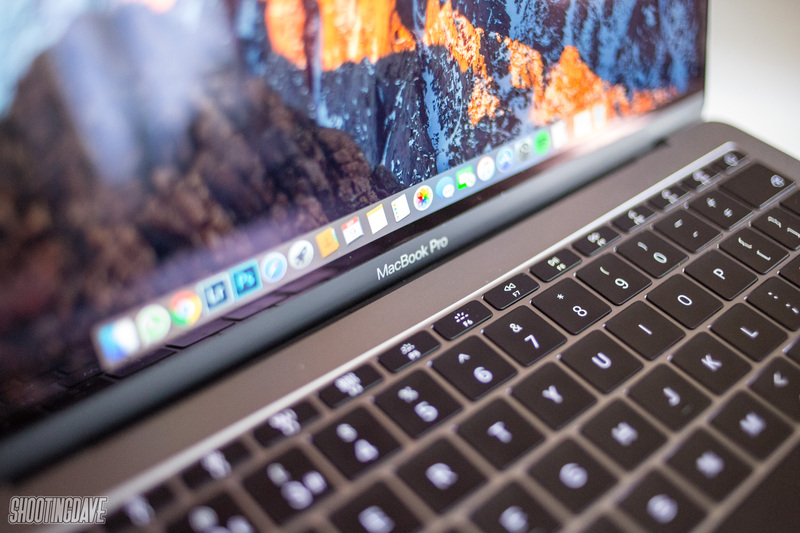 It was through this small mind game that I eventually made my decision to get a 13″ MacBook Pro though. I just felt excited about owning a MacBook. I was never really satisfied with the build quality of Windows laptops. They were generally speaking cheaper and I felt that reflected in the build quality. Not much to criticise but considering I will be owning this for a few years, I couldn’t have a squeaking, flexing chassis to work on. As an ex-engineer, this was a big no no for me. 3 years it took me to make up my mind and genuinely couldn’t be happier. I opted to go for the non touch bar and specced up the RAM and CPU to 16Gb and an i7. Until recently, my longest lens was the Canon 135mm f/2 L . Although a stunning lens, it really wasn’t too short for Motorsport photography. 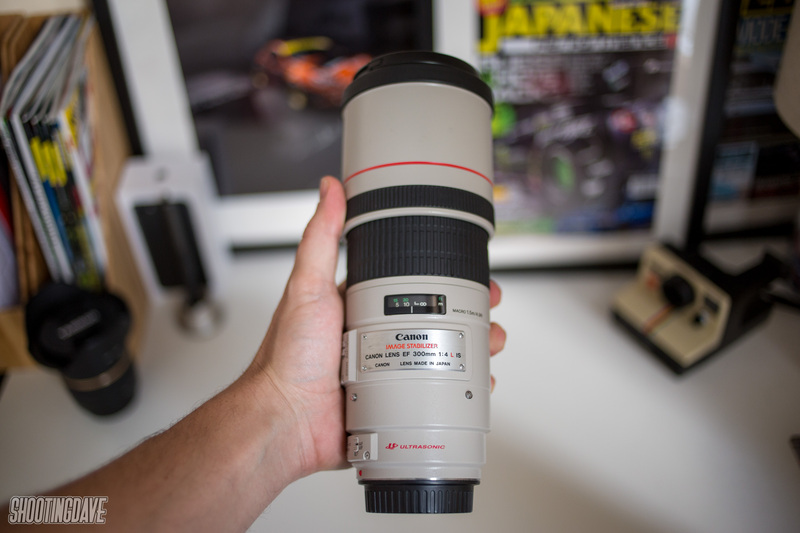 I was lucky enough to have some long term reviews of Canon’s 300mm lenses. I did a review for Cafetography on youtube. I simply did not have the budget for the big 300mm f/2.8 L IS USM for realistically I was looking at the 300mm f/4 L IS USM . Not only did this save a great deal of money but it also saved my back from carrying it around all weekend. This is the lens that I use 90% of the time when at the track. Sure a zoom lens would be more versatile but I have always preferred to shoot with primes. It’s just down to personal preference. When a good friend mentioned that he was selling his 300mm f/4 L I pretty much snapped off his arm in buying it off of him. 300mm fits nicely into my lens collection (35mm – 50mm – 135mm) giving me enough focal ranges to cover 90% of what I need. The only gap was something wider which brings us on to my next acquisition. If your memory lasts more than a sentence then there was a weak spot in my current arsenal. I needed a wide angle. I found when shooting a lot of car interiors both for Fueltopia and work that the 35mm wasn’t quite wide enough to get all that I wanted in. I also wanted something that could capture more of the environment and could be used for landscape photography. When I shot the cover image for this article I borrowed my friends Canon 16 – 35 mm f/2.8L III USM lens. A stunning lens, huge versatility and insanely wide at 16mm. It was just a bit much of a stretch for me. I prefer longer focal lengths and didn’t really fancy dropping a huge amount of money on a lens that I knew I wouldn’t use all that much. 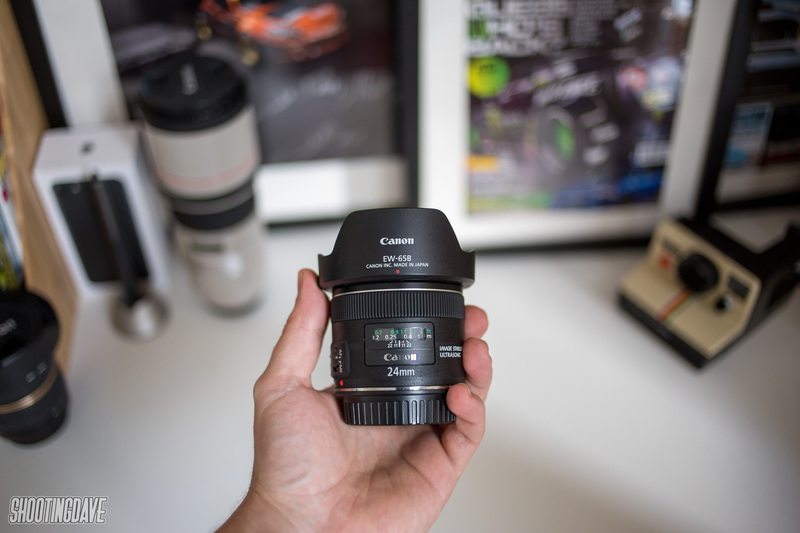 The Canon17-40 mm f/4.0 L USM was also considered. Offering much the same in terms of focal range albeit with a slower aperture. I have used the 17-40L many times before but I never really loved it. I didn’t really fancy having a lens that had a maximum aperture of f/4 either as I would often be shooting handheld in low light. Image stabilisation was something that I convinced myself that I needed for some arbitrary reason. Thoughts moved towards the Canon 24mm f/2.8 IS USM . I began watching second hand sites like a hawk. Pricing was pretty competitive and when one came up for a price that I was happy with, I jumped at it. Oh and it also came with the £50 lens hood which is a bonus. For now, that is all the gear I need. Well, until I convince myself otherwise.